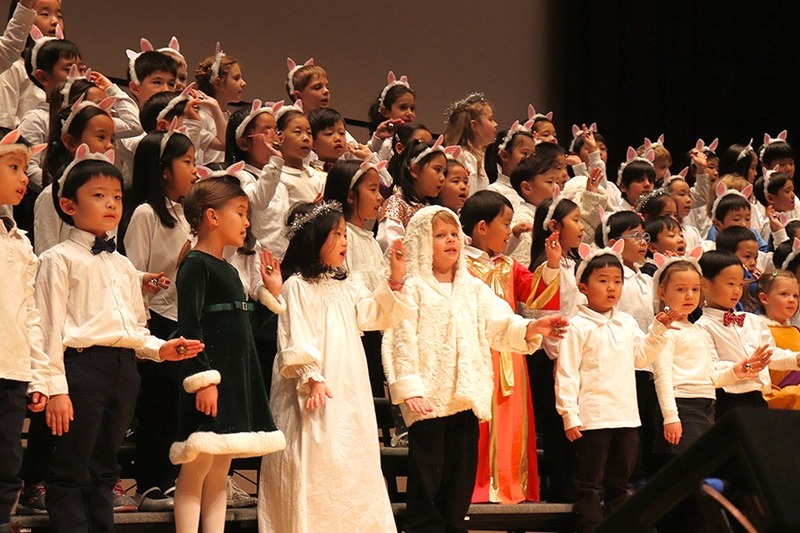 On the evening of November 29, YISS kindergarten and first grade students presented their Christmas concert, Little Lambs In Bethlehem. 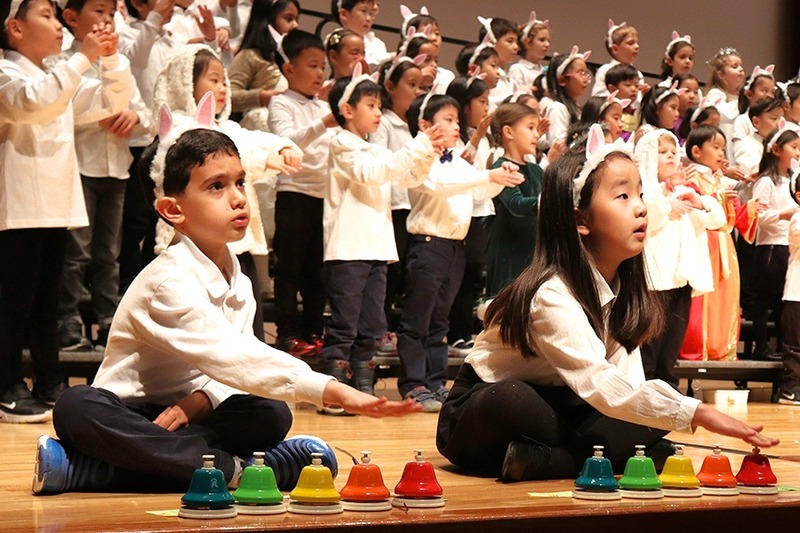 The audience joined the journey of the little lambs that had been separated from their shepherds when they excitedly and hurriedly left to visit Jesus, who had just been born. 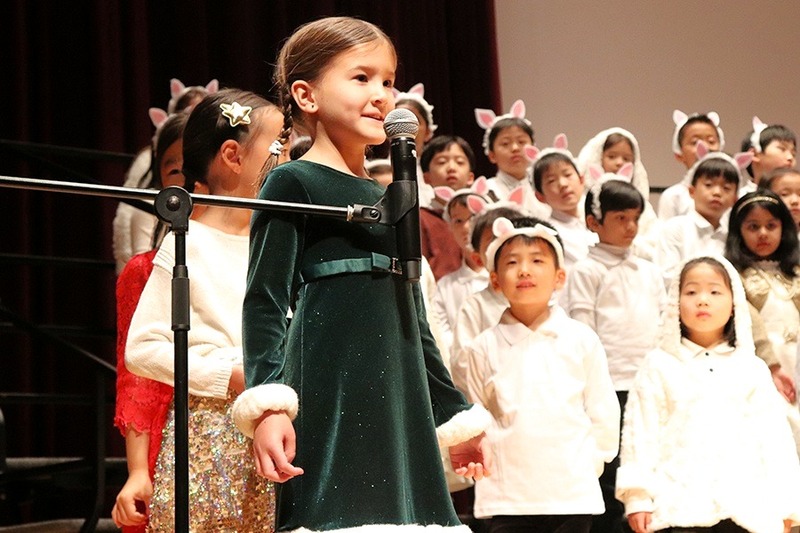 In the opening song, “Glory To God,” students proclaimed the good news and great joy by using jingle bells to show their steady beat skills. Continuing on in the story, “We Will Find Our Way” showed the little lambs had no fear while searching for their shepherds, as they knew God would guide them. This song featured students showing their knowledge about pitch playing bells. 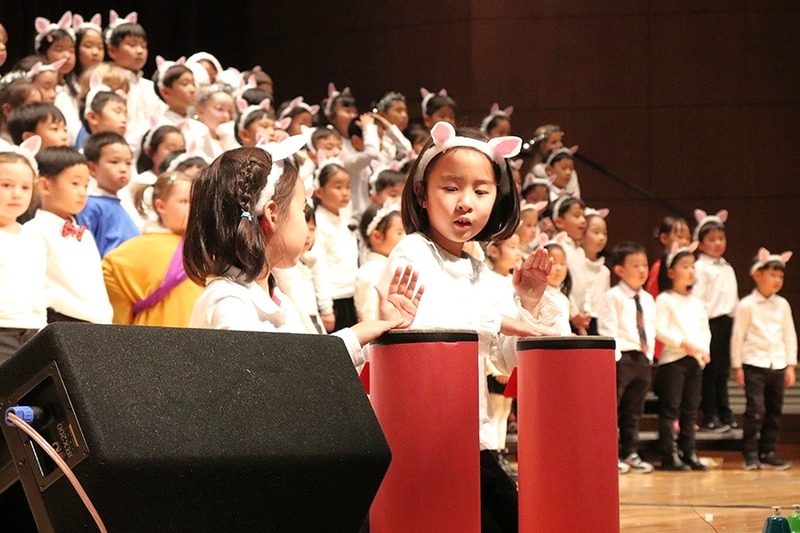 As the lambs moved closer to finding their shepherds, students sang, “O Little Town Of Bethlehem,” which featured first graders playing a rhythmic ostinato on drums. To view the concert, click here.